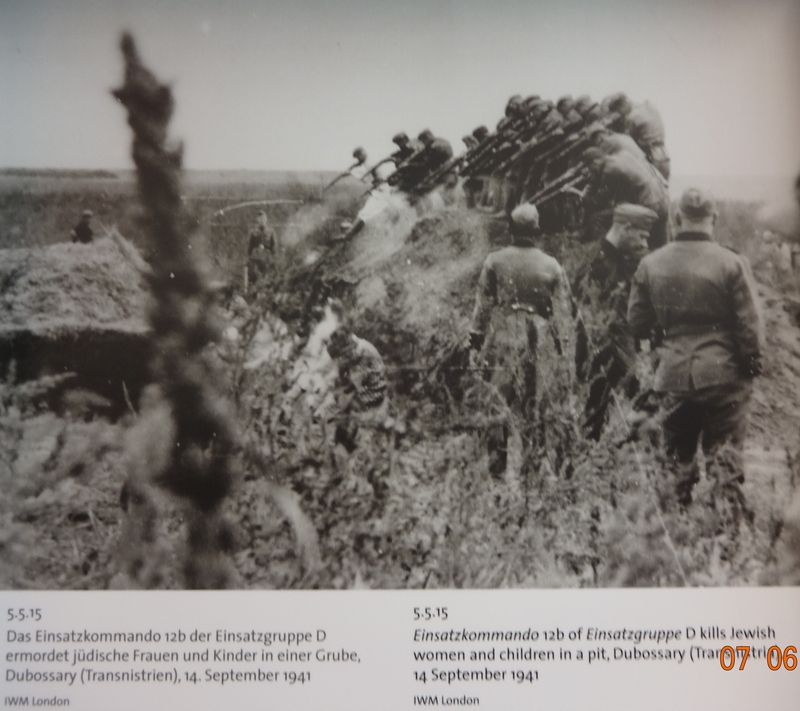 “Einsatzkommando 12b of Einsatzgruppe D kills Jewish women and children in a pit, Dubossary, Moldova/Transnistria, 14 Sept. 1941.” Imperial War Museum. A photograph for you to see. 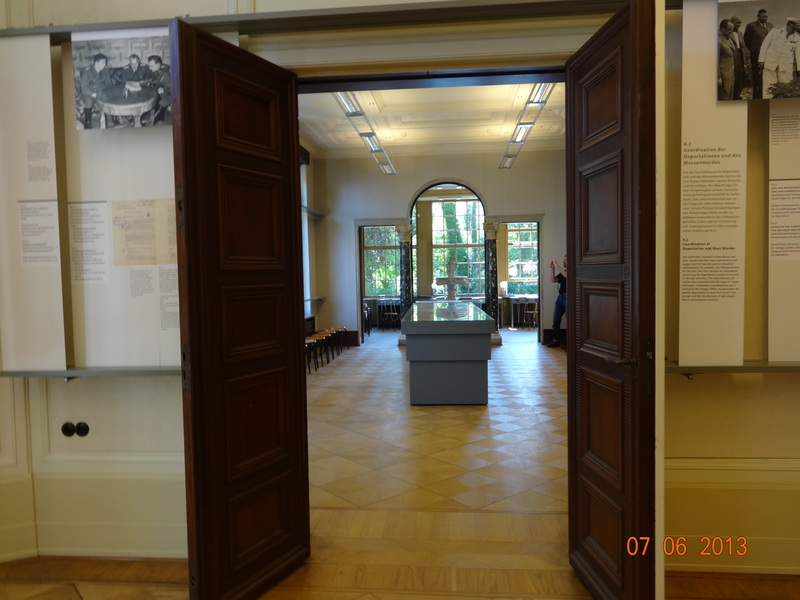 I tend to stay away from displaying more graphic images on this blog, but a year ago on this day I was confronted with it, and many others, at the Wannsee Villa outside of Berlin, where the intentionality of the planning of the Holocaust hits you square in the face, as the photograph on the wall above does. And it is worth noting the date. Eleven weeks after the start of Operation Barbarossa. You see, now that the Soviet Union has been invaded, there are millions more Jews in the path of the genocidal war machine. The Holocaust here was carried out by soldiers with bullets. Entire villages and districts. Over 1.5 million victims. The dirty work gets done, but given the headaches and the bottlenecks, “there has to be a better way”. 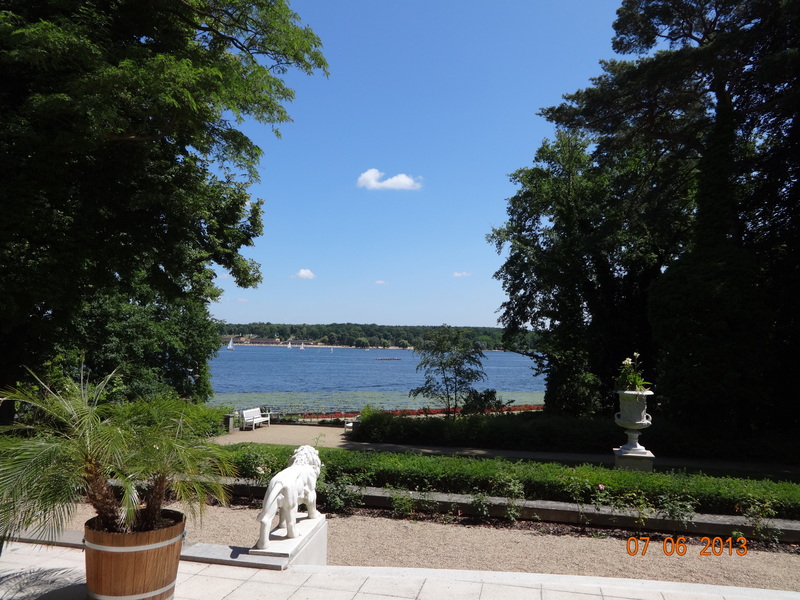 Wannsee Villa, July 6, 2013. Which brings us to this lovely site. At the Villa outside of Berlin, on 20 January 1942, 15 German military and government heads meet for a day to discuss the Jewish problem in euphemisms. 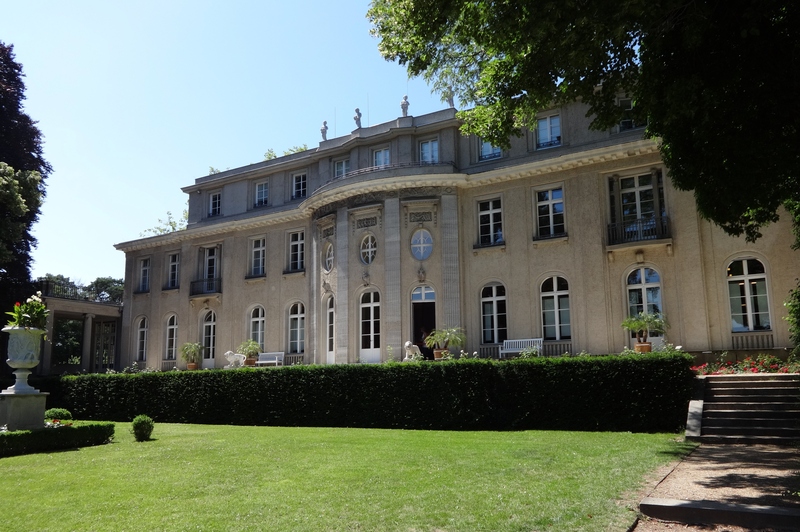 As scholars have noted, the Wannsee Conference was not called to decide the fate of European Jews, but to clarify all points regarding their demise. The display where the “table” around which discussions were held at the villa. A number’s man, Heydrich was. 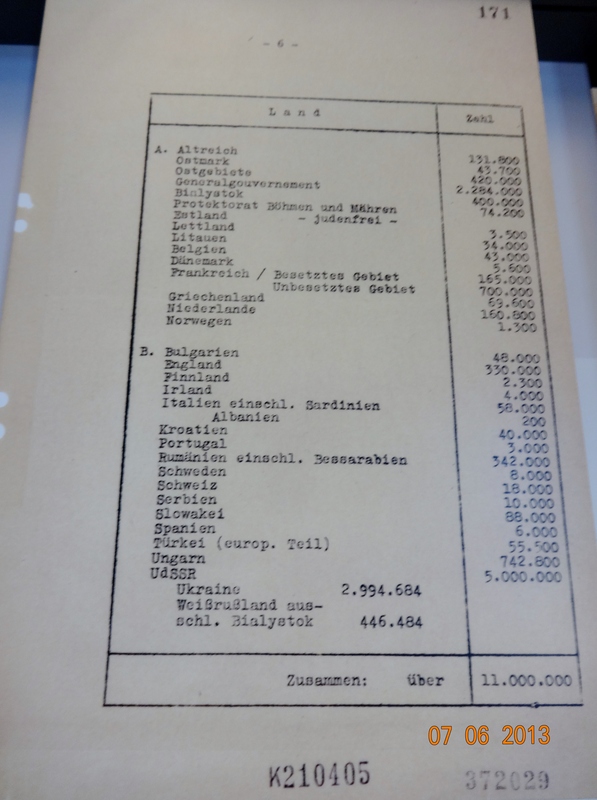 “Heydrich indicated that approximately 11,000,000 Jews in Europe would fall under the provisions of the “Final Solution.” In this figure, he included not only Jews residing in Axis-controlled Europe, but also the Jewish populations of the United Kingdom, and the neutral nations (Switzerland, Ireland, Sweden, Spain, Portugal, and European Turkey). Nice place to plan and coordinate mass murder of millions. For a good short essay on the conference, click here. For the actual meeting minutes, click here. Now we are off to Track 17 in Berlin, to be followed by a visit to the Memorial to the Murdered Jews of Europe.